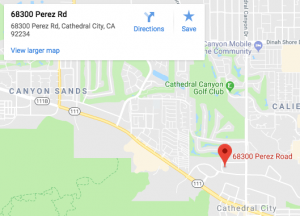 If you frequently drive around Cathedral City, then you know the importance of finding a good Cathedral City auto repair shop. Cat City is one of the crowning jewels of the Coachella Valley area, and the harsh desert environment can be brutal on your vehicle. You don?t want to be stuck in the unforgiving climate with a broken car. Of course, you can?t just take your car to any Cathedral City auto repair shop that you come across. You need the best place that will provide quality service, without burning a hole in your pocket. 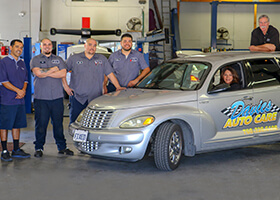 Davies Auto Care is an easy choice to make, and here are a number of characteristics that make them number 1 in the area. USA.gov recommends that you find an auto repair shop with a proven track record, namely one that has satisfied past customers. This is one of the factors that Davies Auto Care can easily excel in. Don?t take our word for it, you can check out our testimonials page and read glowing reviews from our long-term customers. It is a given that not all car owners are experts or tech savvy, so our staff are perfectly capable of explaining everything about the repairs, even to people unfamiliar with cars. On the same level, our staff have years of training and practical experience under their belt, so they can engage people who are more meticulous and require help with more involved repairs. A common problem with motorists is that they tend to wait until an emergency before they try to fix the problem. This can be a huge hassle, and rushing can cloud a motorist?s judgement, resulting in subpar Cathedral City auto repair shops being chosen. Repairs and maintenance will cost money, that much is a given. But Davies Auto Care will not fleece or waste your money. All the repairs and maintenance done are within the customer?s budget, and great care is taken to ensure cost-efficiency without sacrificing quality of service. Fortunately, many problems can be caught in advance through regular preventive maintenance. You don?t need to wait until your car is smoking or completely broken down. Just contact Davies Auto Care now and we will give you a FREE no-obligation assessment of your car.